Join Child and Family Connections in Providence, RI on June 7th as CFC’s executive director, Evan Kaplan, delivers a keynote presentation about how being a single parent with a mental health challenge rescued him from institutionalization and informed the decision not to end his life. 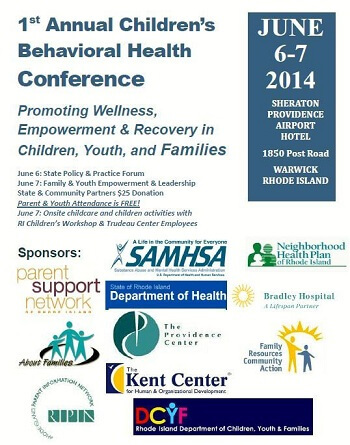 The First Annual Children’s Behavioral Health Conference celebrates wellness, empowerment, and recovery in children, youth, and families. Later in the afternoon, Evan will conduct an interactive workshop to help parents with mental health challenges learn how to talk with their children about parental mental health in ways that build trust and promote child and family resiliency. For more information download the brochure or visit The Parent Support Network.